If you love boating in Minnesota, look forward to ice fishing trips every winter, or just enjoy the great outdoors, Fractional Toys is here to support your passion and fuel your adventure! We offer some of the finest recreational outdoor toys on the market, and we own our entire rental fleet and constantly refresh our inventory with new models. 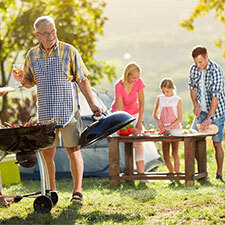 Rest assured, each recreational vehicle is professionally maintained, cleaned, and detailed before you take it out. Fractional Toys also offers pre-owned recreational toys for sale. Whether you want to rent, share, or buy, browse through our inventory today, and get started on your next outdoor adventure! Fractional Toys serves the entire state of Minnesota and Western Wisconsin with high-quality power sport and water sport rentals. 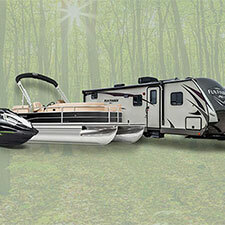 We are dedicated to offering only the best possible RV rentals, jet ski rentals, ATV rentals, and snowmobile rentals. 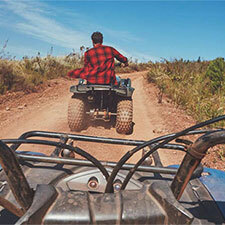 For even more fun, we also offer guided ATV and snowmobile tours. Contact us today at (651) 340-0937 for more details. With all its 10,000 beautiful lakes, scenic nature trails, dense forests, and breathtaking panoramic views, this beautiful state provides a perfect setting to explore. 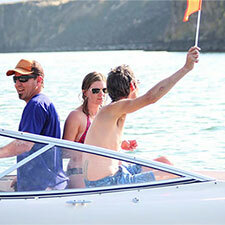 Better yet, Fractional Toys makes getting a vacation rental fun and convenient in Minnesota. 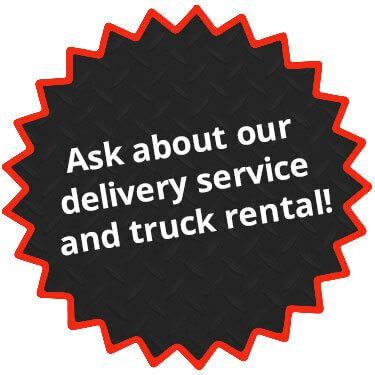 We’re one of the few companies that gives you the freedom to take your rental to the location of your choice. You no longer need to enjoy your boat, jet ski, ATV or UTV rental on a crowded lake or crummy trail; we let you take it to your favorite spot. 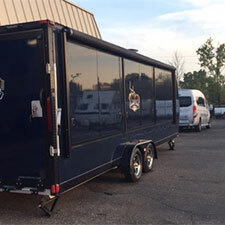 For easy towing, all of our rentals are on trailers for your convenience. If you don’t want to tow your vacation rental yourself, we also deliver our vehicles anywhere within the great state of Minnesota and Wisconsin. Low Prices: Fractional Toys provides economically priced rentals because we believe that you shouldn’t have to bust your budget to have fun. Quality Guaranteed: We regularly perform maintenance checks on our rentals to ensure that everything looks excellent and runs smoothly. If you want a more interactive way to see Wisconsin, come to Fractional Toys. Our wide selection of jet ski rentals, snowmobile rentals, and ATV rentals will entertain you and your friends for hours and will be the experience everyone talks about for years to come. Whether you want to speed down the trails or up the river, nothing quite compares to jumping on a vacation rental and seeing the beautiful scenery outside. Call us today at (651) 340-0937 to make a reservation.